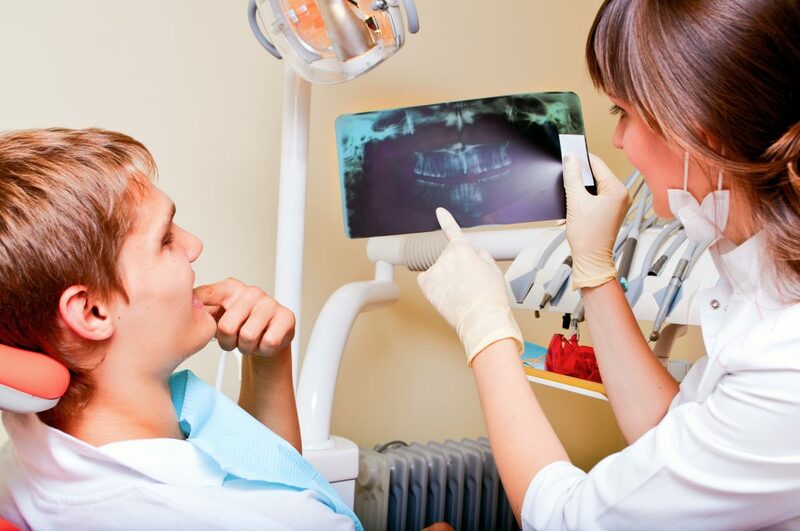 Examinations or oral health assessments allow us to ensure that your mouth is being cared for. During an examination we check not only your teeth, gums and the whole of your mouth but also, we check your jaw joint (TMJ) and surrounding external tissues and bones. Screening is done to ensure we can identify early detection of decay, gum disease and oral cancer. We will then discuss our findings with you and also give you preventative advice to help protect against future problems. We will discuss all your treatment needs with you. Also known as radiographs, they are an essential part of any dental care treatment plan offered by Byways Dental Practice. They are diagnostic, but they can also be preventative, by helping a dentist diagnose potential oral care issues in a patient’s mouth before it becomes a major problem. Intraoral – an X-ray that is taken inside the mouth. Extraoral – an X-ray that is taken outside of the mouth. Intraoral X-rays are the most common type of radiograph taken at Byways Dental Practice by our skilled staff. Images are efficiently stored, retrieved and shared electronically. Allows further image processing and analysis after exposure, with reduced under- or overexposures. Lower patient dose due to more sensitive sensors, less radiation needed. Also, less radiation can be used to produce an image of similar contrast to conventional radiography. Environmentally friendly, no chemicals and associated disposal issues. Images are instantly ready, no film processing needed.